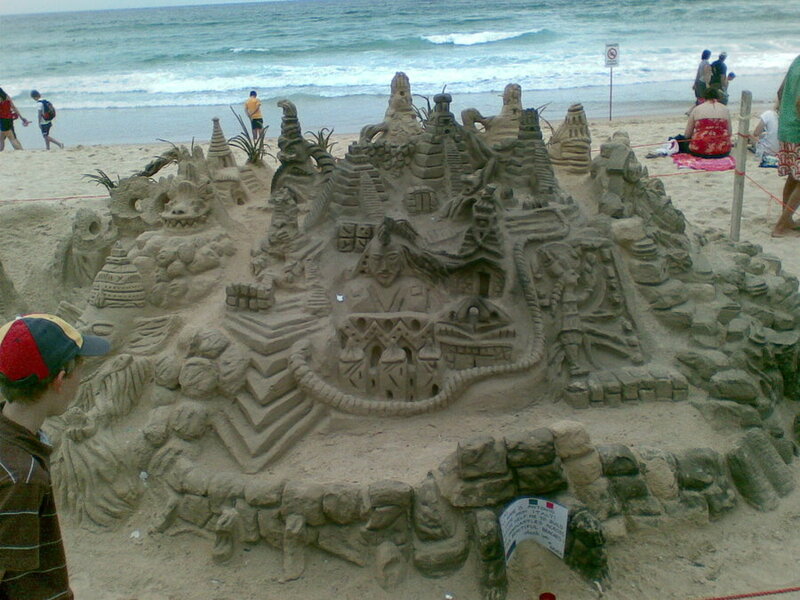 For some people, building sand castles is a fun activity done just to chill out on the beach. 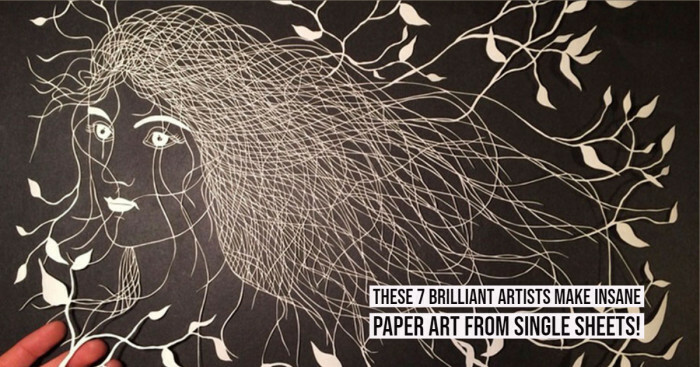 While for some people, it is an art that is learned through years and years of practice. 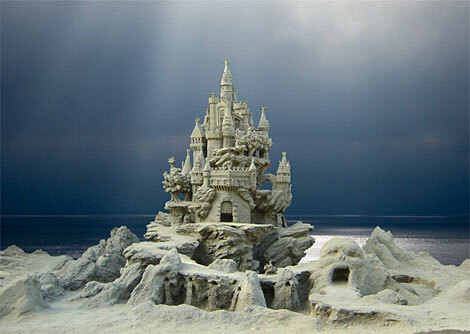 And these are the sand artists and sculptors who master the art of building marvelous sand castles. 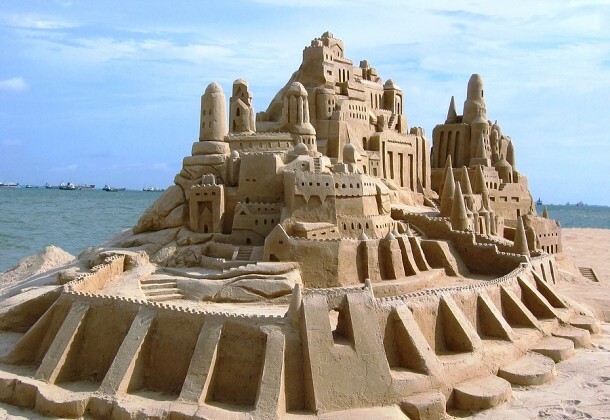 It’s obviously not possible to make them last forever due to natural tides and of course, from the mischievous kids. But yes, they surely can be made immortal by capturing them in camera. 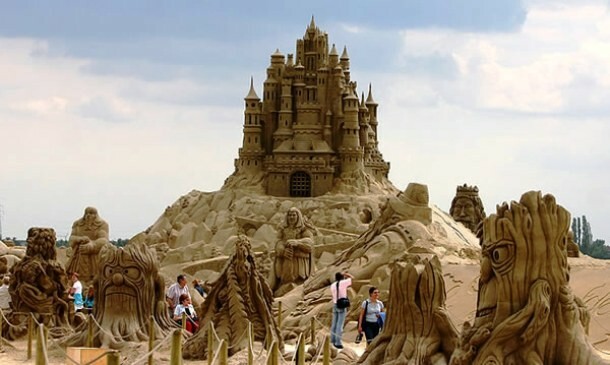 So here we’re sharing the 27 best sand castles ever built that are nothing less than epic in design, concept and most importantly, the craft. 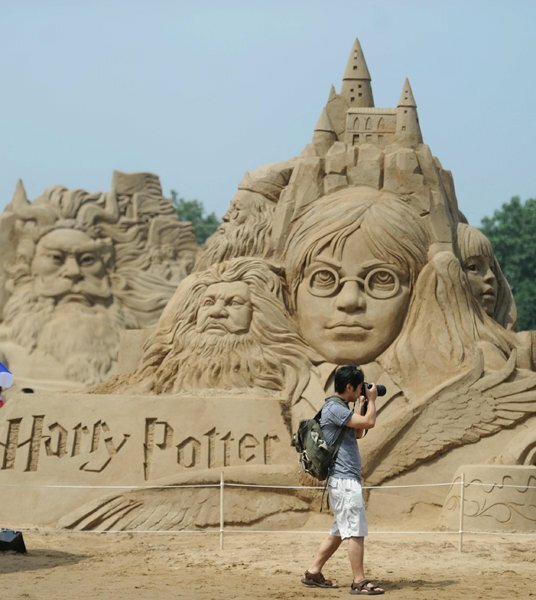 This magnificent sand castle in the pattern of Harry Potter characters was built by a sand sculpture artist during the Changsha International Sand Sculpture Art Festival held in China in 2011. 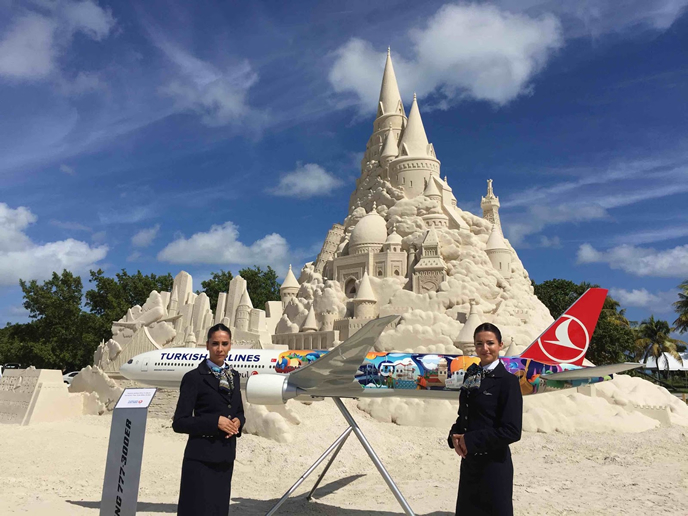 Turkish Airlines marked its inaugural service from Miami to Istanbul by building this sand castle at Virginia Key Beach, Miami, Florida, USA, on 27 October 2015. 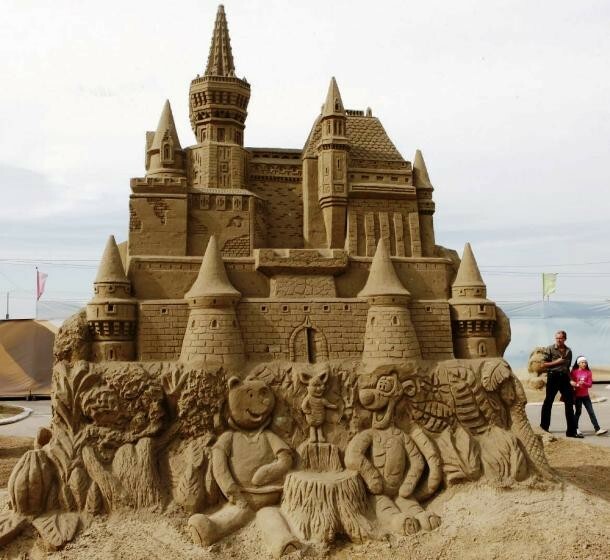 Ted Siebert of the Sand Sculpture Company led the team of 19 sculptors and created Guinness world record for building the world’s tallest sand castle. 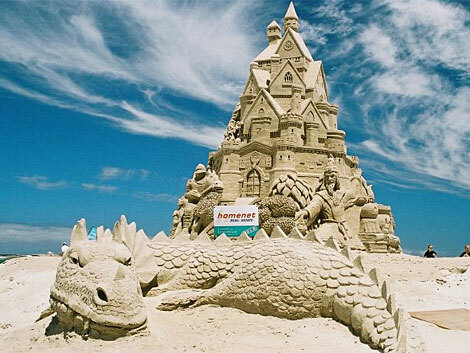 This 45 ft 10.25 inches tall sand castle was built using more than 1800 tons of sand and took two weeks to complete. 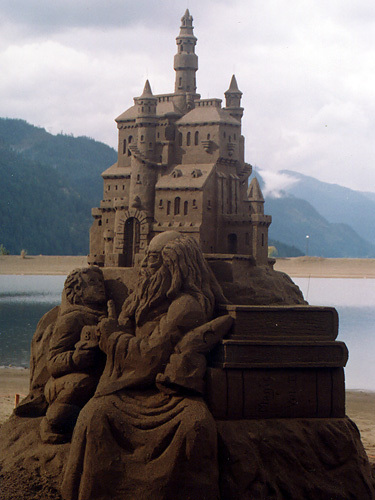 Justin Gordon and his teammate built this 9 ft tall with 7 ft wide base sand castle at the World Championship Sand Sculpting Competition at Harrison Hot Springs, British Columbia in 1992. 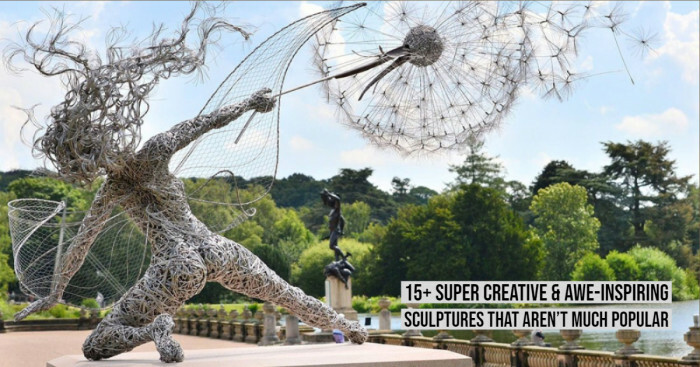 The sculpture depicts a wizard refusing the Boston Red Sox hat being offered by a kid since the baseball team wasn’t performing well in that year. 24. Thank god, this isn’t for real! 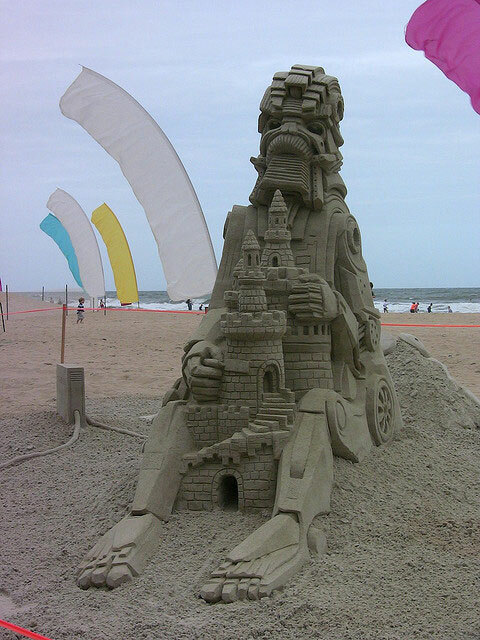 This impressive sand castle was built at the Virginia Beach by a sand artist in the ‘End of Summer Sandcastle’ competition. 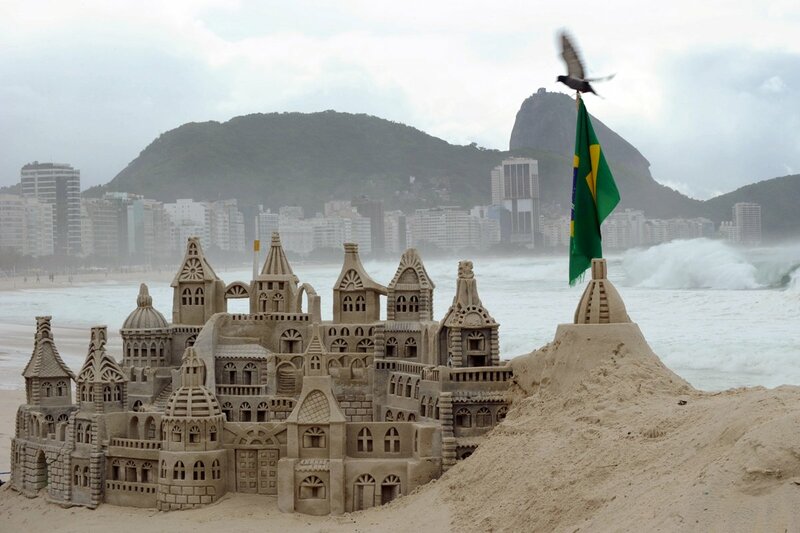 This sand castle was built at Copacabana Beach in Rio de Janeiro on April 9, 2010. 20. 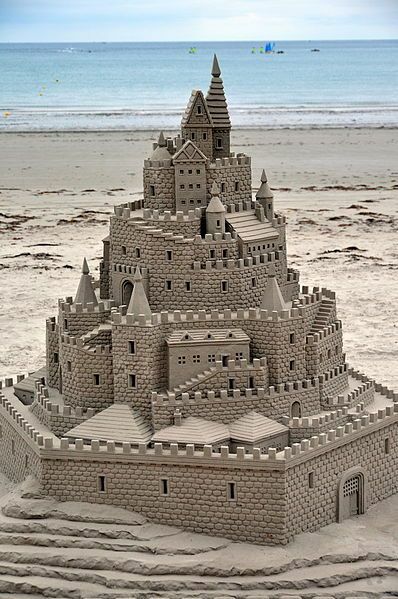 A dreamy sand castle this! 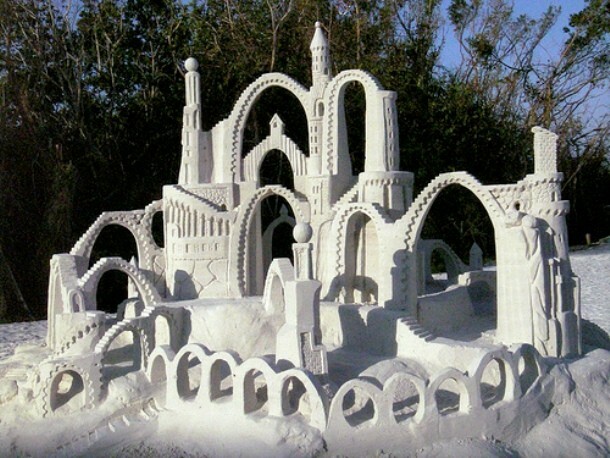 This glorious sand castle was crafted by American sand sculptor Rich Varano will take you into a whole new world of fantasy. 17. 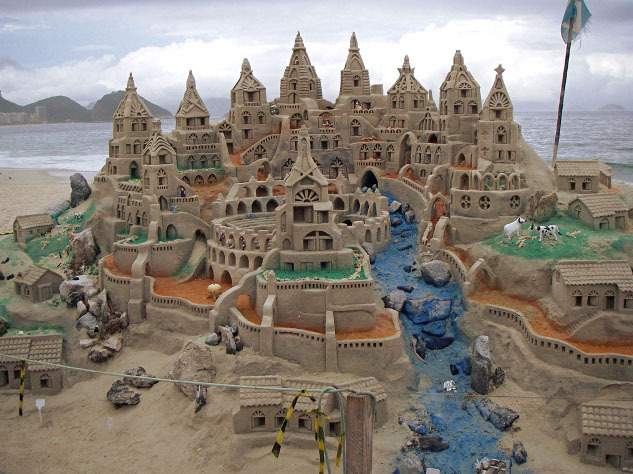 A colorful sandcastle is a treat to the eye! 15. 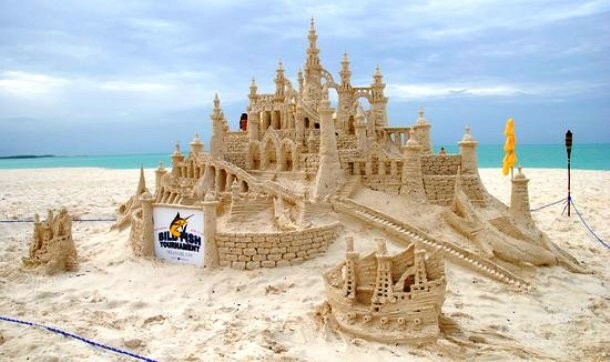 Such a perfectly built sandcastle this! 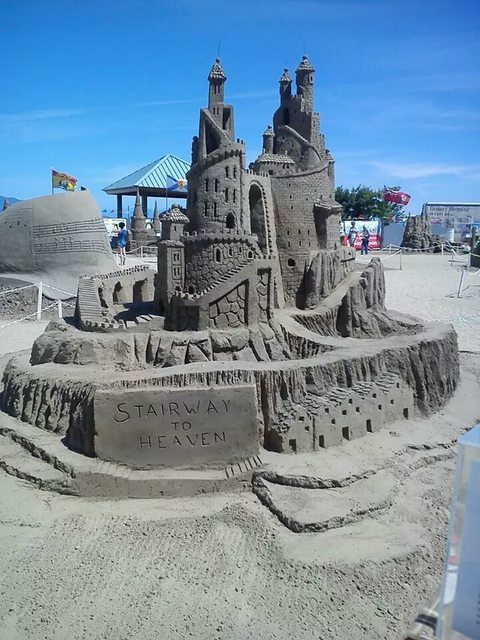 This sand castle with zigzag passageway was built on Imperial Beach San Diego sand castle competition. 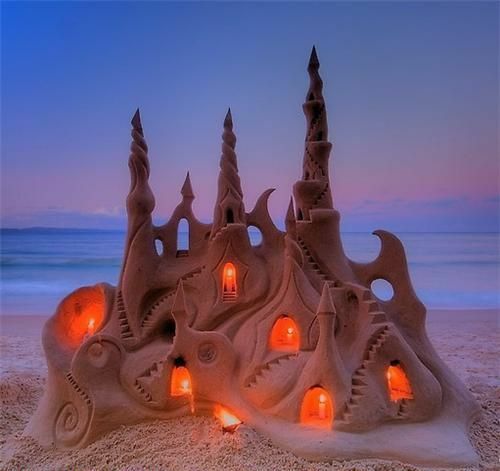 The swirling pointed tops and candle-lit entry passages definitely add a flare to this sand castle! 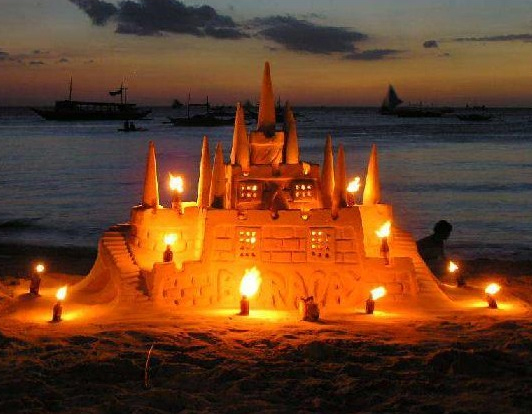 Torchlights took this sand castle to another level! 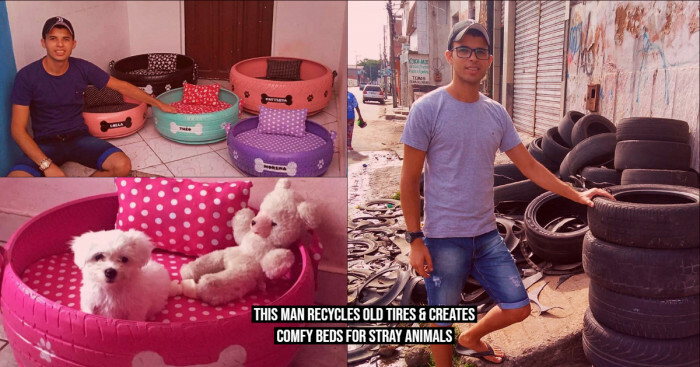 Didn’t they? 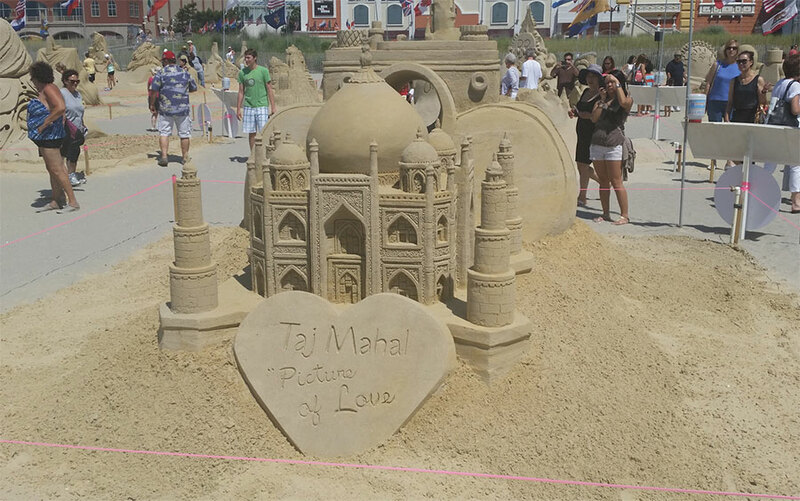 The iconic structure ‘Taj Mahal’ gets moulded into a sand castle by a sand artist. 11. 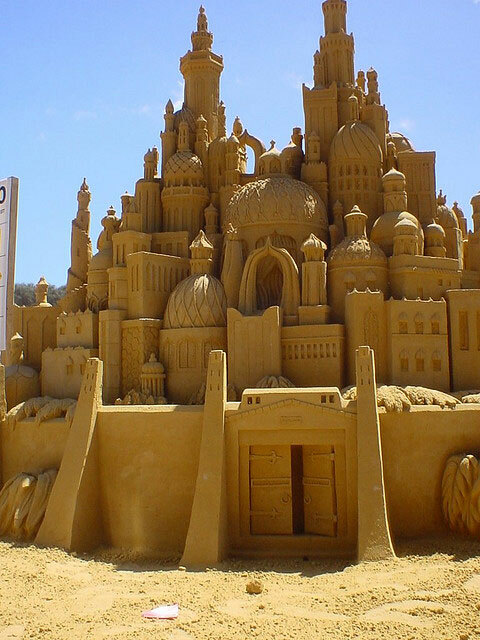 A sand artist has build paradise on beach! This is it! 10. 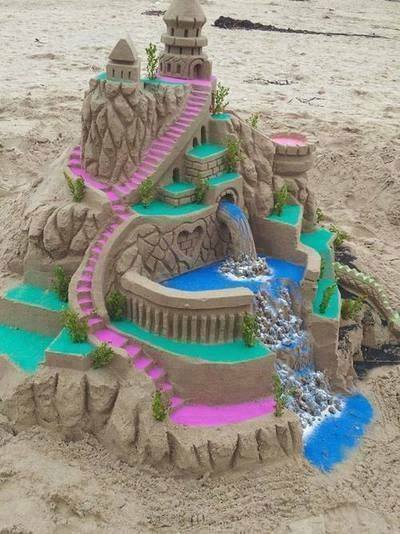 Ever heard of drip castle? This is how it looks like. The smoothly and finely built arches are the main attraction of this one! 8. 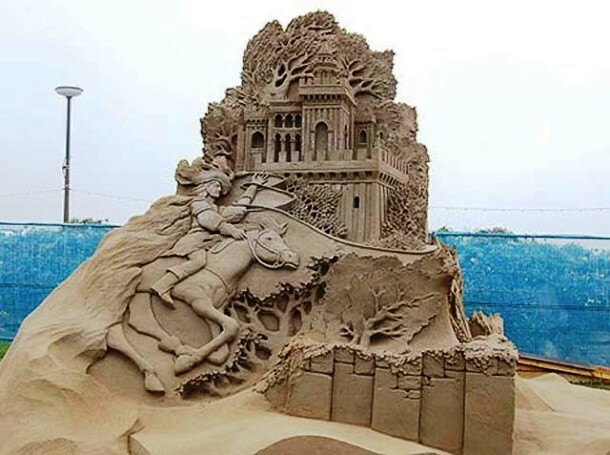 Another vividly colorful sand castle! 7. 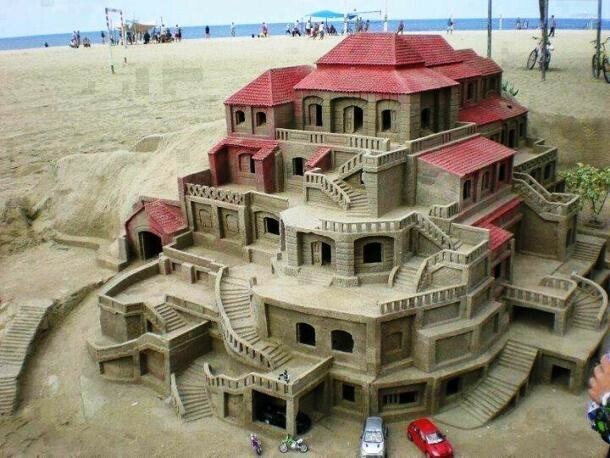 Is that a Princess’ Palace made of sand? 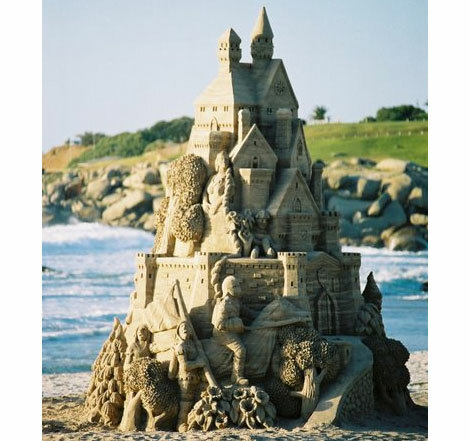 All that glitters may not be gold, but could be a golden sand castle! 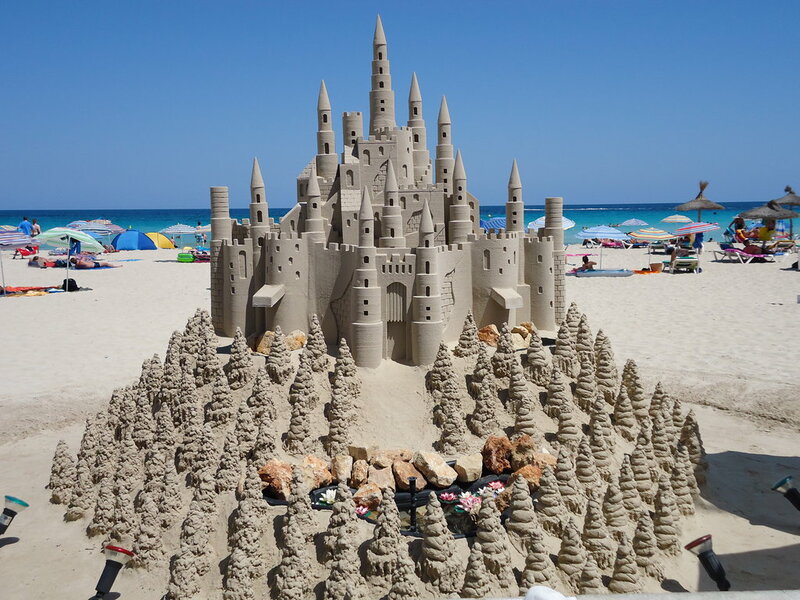 This golden sand castle was seen at Treasure Cay Beach, Marina near Bahamas. 5. Gosh! 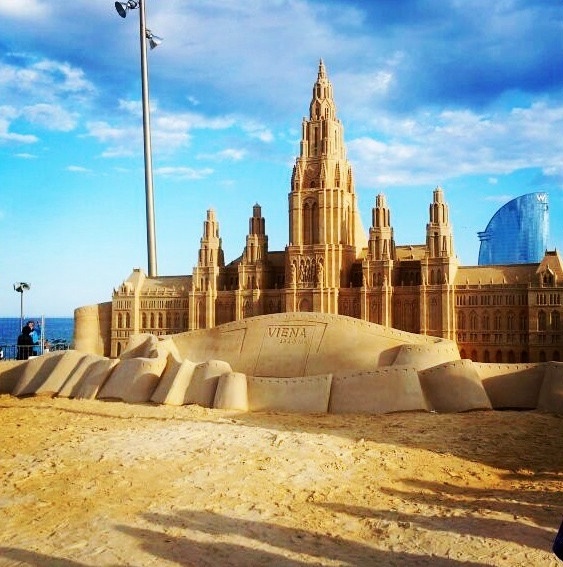 This Sandcastle in Barcelona looks historical! 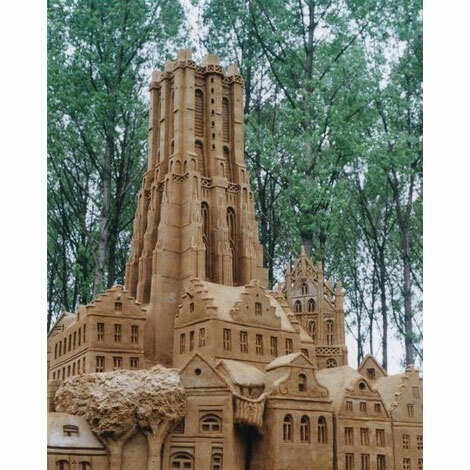 The red eaves are making this multi-storey sand castle look so stunning!